Venezuela, cryptocurrencies and the crisis. The petro. While all this was happening in the area of ​​cryptocurrencies, Venezuela was developing what is undoubtedly one of the worst economic crises in our history. External and internal sabotage, sanctions on the part of foreign powers, but above all a huge inefficiency and some dreadful levels of corruption in the public administration, are factors that have been conjugated in the last 5 years, to generate one of the worst economic scenarios seen in the history of Venezuela. With a scenario of hyperinflation, and many people looking for ways to safeguard their money, it is understandable that Venezuela became one of the biggest bastions of Bitcoin and other cryptocurrencies. Currently, Venezuela is the third country in the world, after Russia and the United States, with a higher volume of transactions in Bitcoin, already surpassing powers of the subject such as Japan and China, and far above any other country in Latin America. In fact, Venezuela has a higher volume of operations in Bitcoins than all of Latin America together, and very close to the second country in the ranking that is the United States. The enormous advantages that cryptocurrencies can offer people in a country with exchange control, and with a currency in continuous devaluation since the government of Maduro began, have turned Bitcoin into a lifeline table for anyone who has discovered it in Venezuela: through Bitcoin money can be moved from one country to another in a matter of seconds, and anyone can be paid from one country to another and without paperwork of any kind. Obviously, when Bitcoin has an international quotation, changing a currency in constant devaluation to Bitcoins is an effective way to safeguard the money ... which can then be changed to bolivars when needed. In their search to find mechanisms to obtain foreign currency, it was to be expected that at some point those who are part of the top government's leadership would find out about the existence of Bitcoin and the other cryptocurrencies, as well as the great advantages and opportunities that these can contribute in this regard. Unfortunately, in principle, the actions of the government and institutions have been the same that have characterized them in these 5 years of government: trying to control, criminalize and monopolize. The institutional onslaught began with the criminalization of the miners, taking prisoner to anyone who was known to have mining equipment to steal the equipment, as there was no crime in concrete terms within a few hours they released the people ... but the equipment was stolen . The assault continued against anyone who had anything to do with the crypts: members of work teams of Venezuelan exchange sites were taken prisoner as if they were criminals. Then came the blocking of bank accounts, to those people who obtained income through the purchase and sale of Bitcoins. In this way, when Banesco intervened, many of the accounts they blocked were not exchange agents that worked with the black dollar, but ordinary people who were engaged in the purchase and sale of Bitcoins as a means to obtain their income, the same It has happened with the blocking of thousands of bank accounts recently announced by the government. When observing the magnitude of the movement of cryptocurrencies in Venezuela, and the income that this business generates, they passed to the attempt of control by people linked to the high government: the seizure of mining equipment in the customs and airports began ... And licenses were established exclusive to import such equipment for those who are part of the high government: if you buy a mining equipment in Venezuela, and buy without any kind of problem or risk, it is likely that those who are selling it are people linked to some high government official, unique with power to bring those equipment without being stolen in customs or taken prisoner. But the movement of cryptocurrencies in Venezuela did not stop for that, but continued to grow, driven by an unstoppable hyperinflation, and the growing need to safeguard money, and despair for a currency that increasingly has less value. 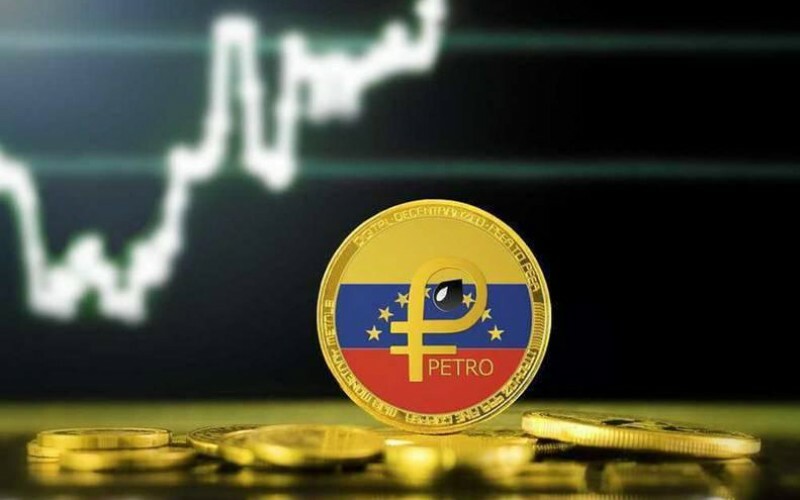 Seeing that it was simply unstoppable and that cryptocurrencies came to Venezuela to stay, they had an idea that took them to the next level: the creation of their own cryptocurrency, the Petro.